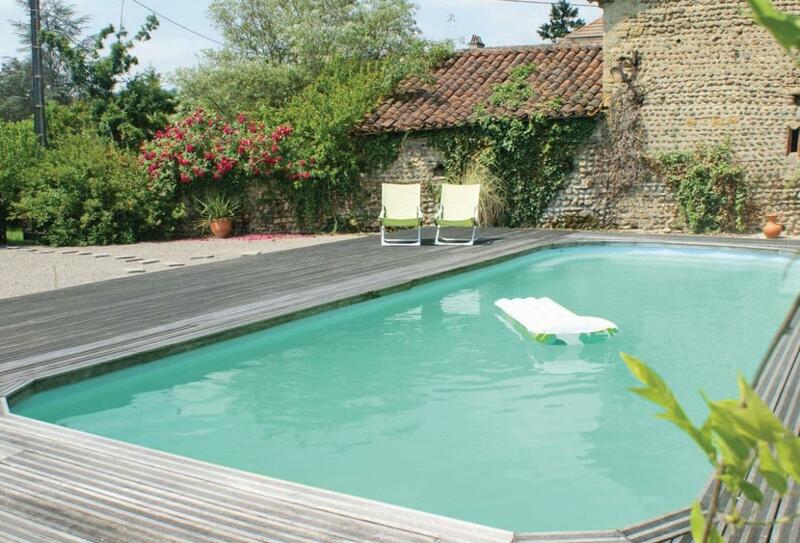 This charming holiday property offers a private outdoor swimming pool, and is located in the small village of Sombrun in the Pyrénées. The interior of the property is comfortably furnished with a TV room and the garage also serves as a table tennis room along with many outdoor games. This is the perfect location for a relaxing stay and to enjoy a barbecue during the summer evenings. In the village there is a tennis court, and the area has many walks in the Pyrénées, while Tarbes is a 30-minute drive, Pau is 1 hour away, Biarritz is 2 hours and Pamplona and Spain are only a 3 hour drive away. Enjoy the many festivals in the area, such as the Jazz festival in August in Marciac, 15 minutes, Country festival in Mirande, Tango festival in Tarbes and the wine festival in Madiran. Golf nearby, tennis court on site. Shop 20m, restaurant 2.8km. Lounge/kitchen/diner, second lounge, 2 bathrooms with bath, shower and basin (no toilet), 2 separate toilets with basin, 4 bedrooms: 1 double, 3 twin, double sofa bed in lounge. Gas heating, cot, highchair, colour TV (French channels only), wi-fi, washing machine, dishwasher, microwave, lawned garden, terrace, garden furniture, barbecue, outdoor swimming pool (private, 50m², open Jun-Sep weather permitting), carport for 2 cars. Sorry, no pets. No smoking please. NB: Open-tread turning stairs to first floor. Step to bath. Beams and sloping ceilings on first floor. Steps to entrance. Step to pool terrace.